If you have a problem that you can't fix on your own, its a good idea to speak to an adult you can trust. 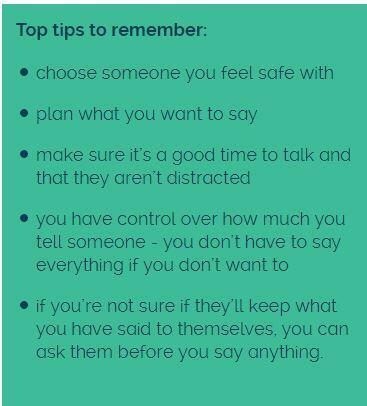 Telling someone you need help isn't always easy so read our advice on how to do it and who you can speak to. Who can I speak to at Newfield? Any member of staff e.g. your class teacher, a teaching assistant, Mr Sandy (from Place2Be) or anyone else at school. Remember the Inclusion Team are always here to help you and listen to how you feel.